Mike Chavers graduated from Locke High School in 2014. The 6’4”, 180 SF was the captain of the basketball team and put in 18 PPG and pulled down 4.9 RPG. 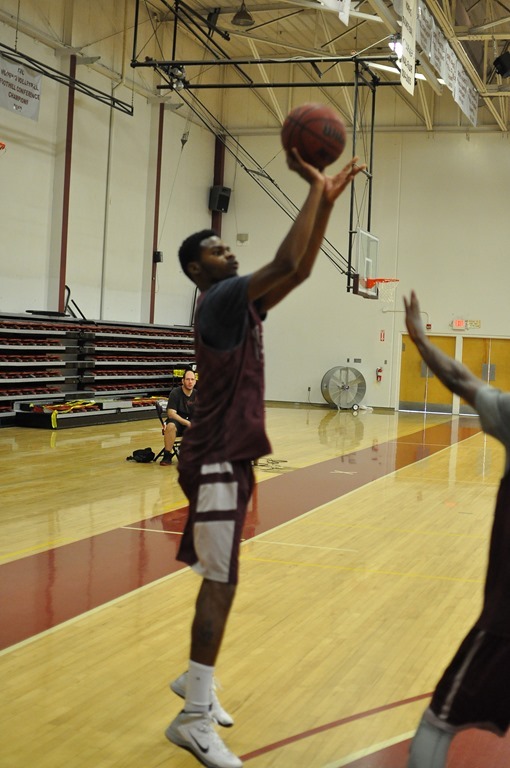 A team leader in his senior year at Locke he is finding that nearly all of the players at elite JUCO’s like Antelope Valley College were the best players on their high school teams as well. Another major change for many high school players is the intense emphasis that AVC put on academics. “No grades no playing time” is foreign to many players. Mike knows however that a college degree will be a key to success once his competitive basketball days come to an end. Chavers decided to join the AVC team as he wants to play basketball at the university level. He knows that he is going to have to improve his game in the area’s of ball handling, strength and shooting to get playing time this year on the sophomore laden team. Tough young man who knows that nothing worth having comes easy. Mike Chavers will be red-shirting this year at AVC. Looking for great things from him in the next two years at AVC.